An Ondo State High Court sitting in Akure, on Wednesday, sentenced one Adeyemi Seidu to death by hanging for killing his girlfriend, Khadijat Oluboyo. Khadijat, the daughter of the immediate past deputy governor of the state, Alhaji Lasisi Oluboyo, was killed by the convict at his house in July 2018. It was reported that after killing the deceased, Adeyemi buried her corpse in his room for five days but the deed was later exposed by his father, who reported the incident to the Ondo State Police Command. The convict was said to have deliberately killed the student of the Adekunle Ajasin University for ritual purposes. Adeyemi was later charged to court on two counts of conspiracy and murder. During the trial, Adeyemi claimed that he was not the actual killer of Khadijat, saying two of his friends carried out the dastardly act. He said he was asked to bring a manual digger and a shovel with which to dig the floor for the burial of his late girlfriend after she had been killed. He also claimed that the supposed killers, whom he could not identify, warned him not to tell anybody about the killing or he too would be killed. One of the witnesses, a pathologist, Dr Olumuyiwa Pelemo, told the court that the result of the autopsy conducted on the deceased indicated that she had several injuries on her body, which led to her death, adding that there was an abnormal shaving of the hair on her head and pubic region. Another witness, a brother of the defendant, testified that the family got to know of the killing when Adeyemi confessed to him that Khadijat was dead and buried in his room. The witness confessed that the convict begged him to get a sack with which to dispose the corpse but he (witness) told their father, who ordered him to report the matter to the police. 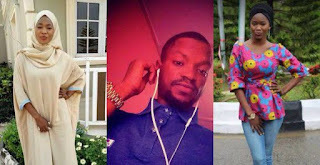 The father of the convict, Mr Seidu Siyanbola, a bricklayer, corroborated his younger son’s testimony, adding that he knew the deceased as Adeyemi’s girlfriend and that they had been in a relationship for three years. He stated that Adeyemi confessed to him that some men killed Khadijat, buried her inside his room and threatened to wipe out his family if he told anyone.